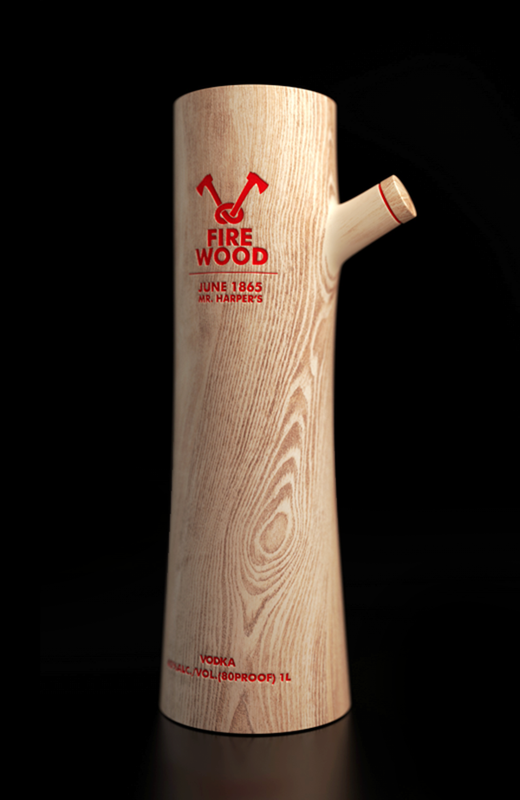 Firewood Vodka’s Stand Out Packaging by Constantin Bolimond. Package design is a multifunctional art form. The package must function as a container or vessel for an object, and it must stand out. In the case of liquor packaging, where your product is competing in a sea of similar looking products you need to really stand out. If you have been in a liquor store, or the liquor aisle of your supermarket lately, you might have noticed how most bottles look very similar, and it is a label that attempts to differentiate a brand or product offering. 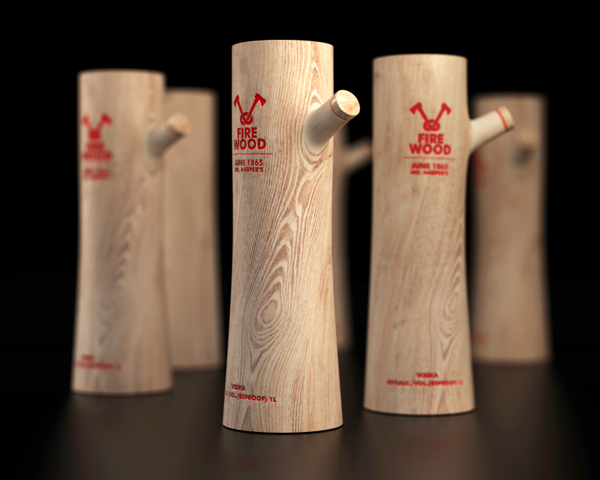 There are exceptions to the rule, and companies like Stranger & Stranger have set the high bar for memorable liquor packaging, but this design from Constantin Bolimond for Firewood Vodka is a true winner. The package plays off of the brand name, presenting itself as a wooden log. A cut branch is the spot for pouring the vodka. 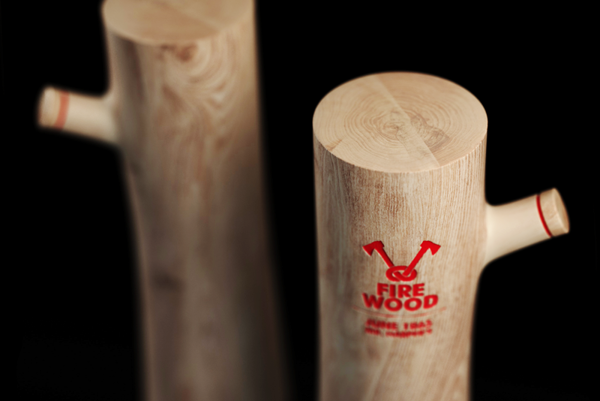 Labeling is debossed and enameled highlighting the logo of a double axe tied into a knot. Visually this is a fantastic play on the name, and an outstanding way to represent the product. There is no way this is going to get lost in a wall of vodka products where the packaging is designed to show off the clear liquid inside in a shape that looks like so many others. Posted in Design and Art, Packaging and tagged Branding, Constantin Bolimond, Design, Industrial Design, Liqour Packaging, Package design, Packaging, Stranger & Stranger on October 15, 2013 by Author. ← Our National Parks are Closed. Thankfully We Have Them on Film.